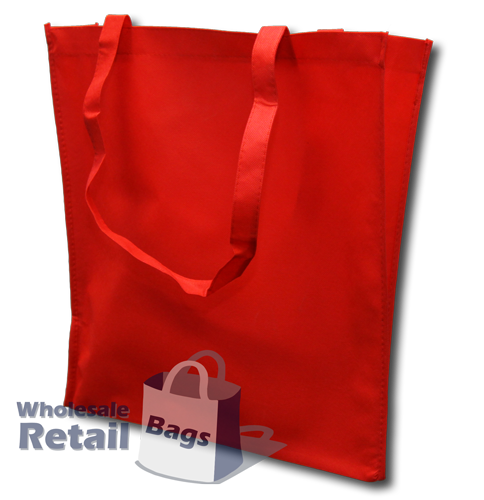 The nonwoven V gusset bag is similar in make to our nonwoven conference bag and our nonwoven basic bag, except it features a triangular shaped gusset running down the side of the bag, where the conference bag has a rectangular shaped gusset, and the basic bag has no gusset at all. Like the conference bag, it's used widely for distributing promotional material and catalogues at conferences and industry trade shows. The V gusset bag is available in a wide range of colours (but not quite as many as the conference bag).